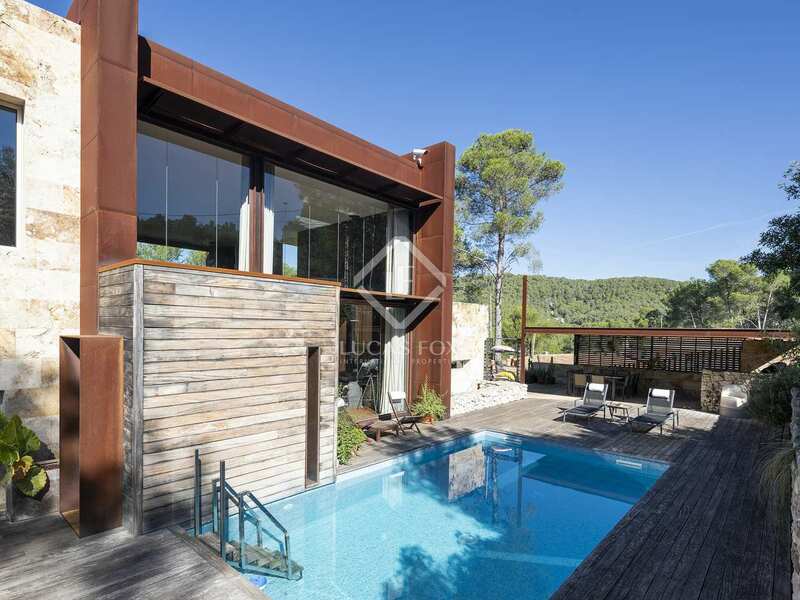 Spacious 424 m² house sitting on a 1,500 m² plot enjoying all day sunshine, privacy and spectacular views of the surrounding hills. 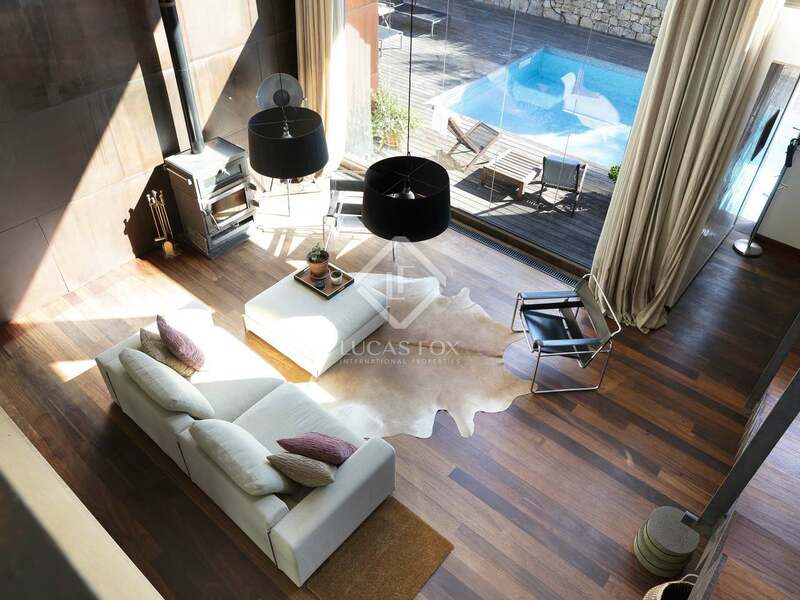 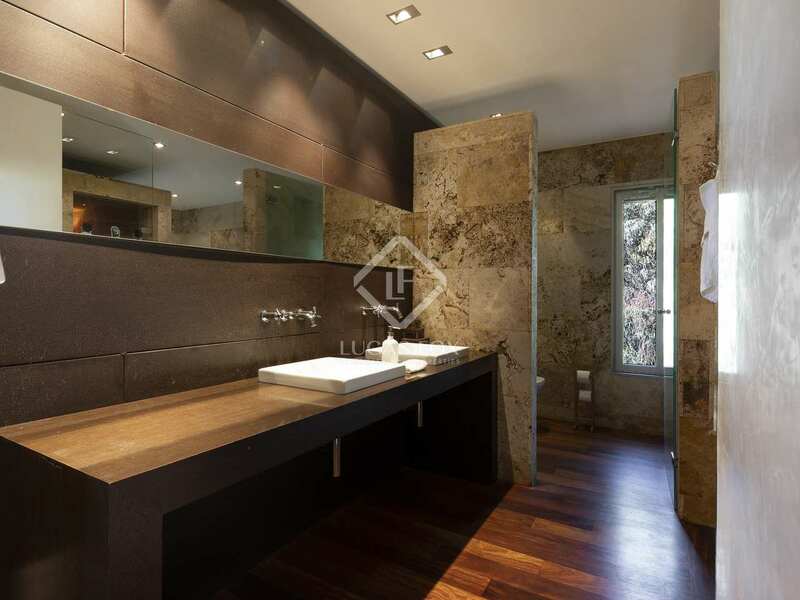 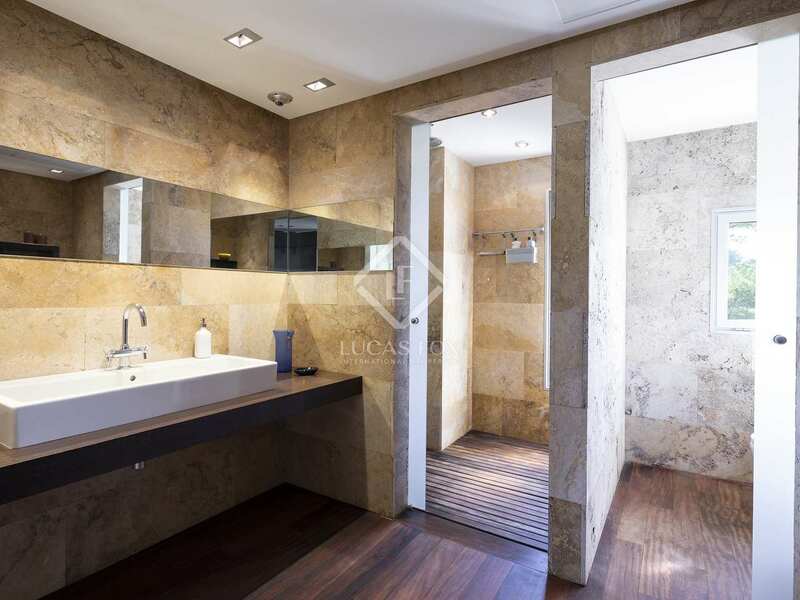 This property is of the highest quality, every detail has been carefully considered. 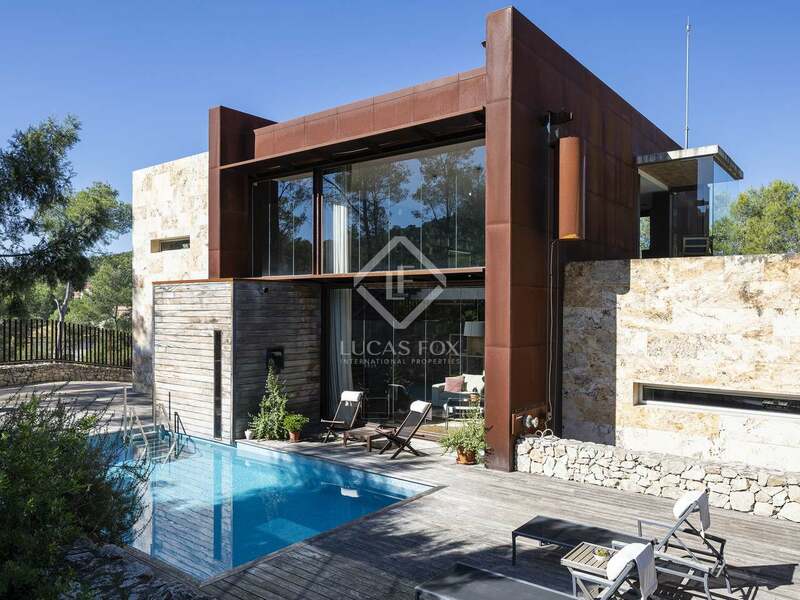 We enter the property via striking corten steel gates into an open green space and driveway leading to the main entrance near the swimming pool which is surrounded by tranquil sitting areas, an al fresco dining area with seating for 10, barbecue and a large, built-in pizza oven. 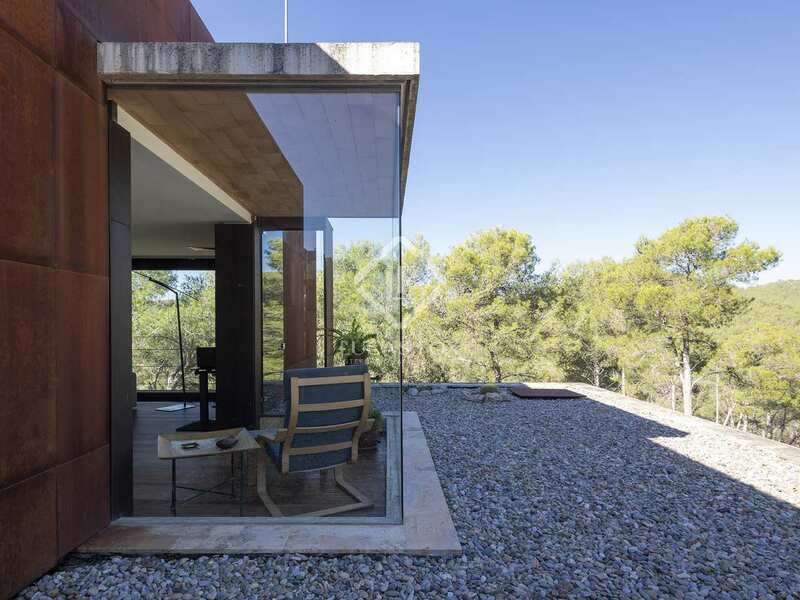 The architecture of the home and outdoor spaces create a private retreat among nature. The spacious, open-plan living room – dining room offers dramatic views into the woods behind the house. 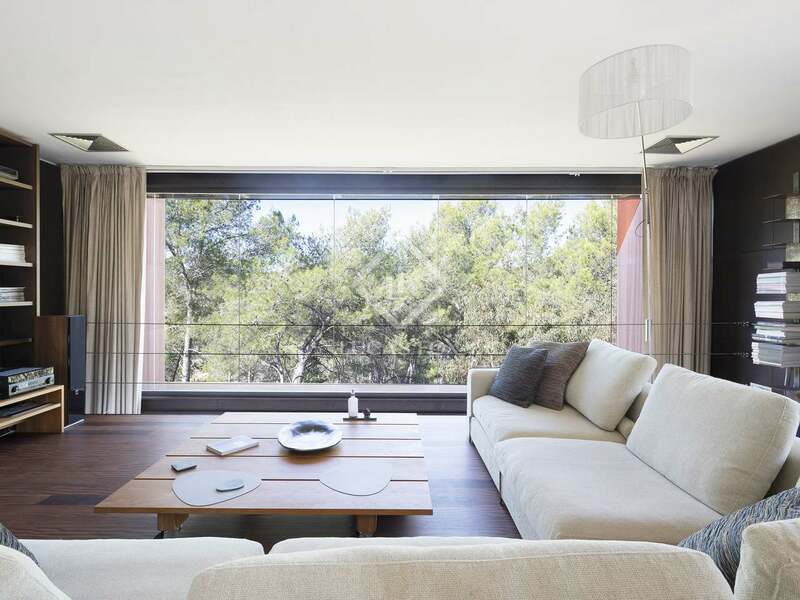 Floor-to-ceiling lounge windows open via a ship's pulley system providing seamless indoor/outdoor living. 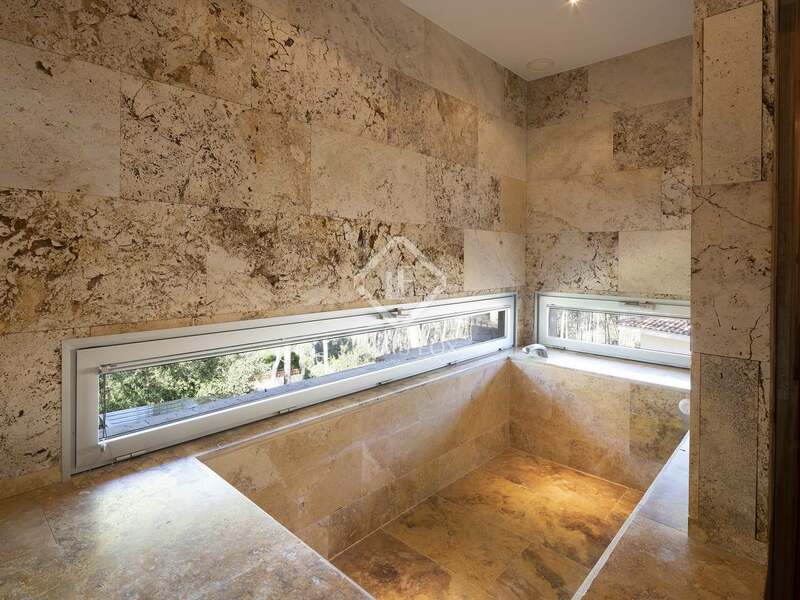 To the right is the master suite, complete with bedroom area, dressing room and bathroom with oversized bathtub, dual sinks, large shower and sauna. 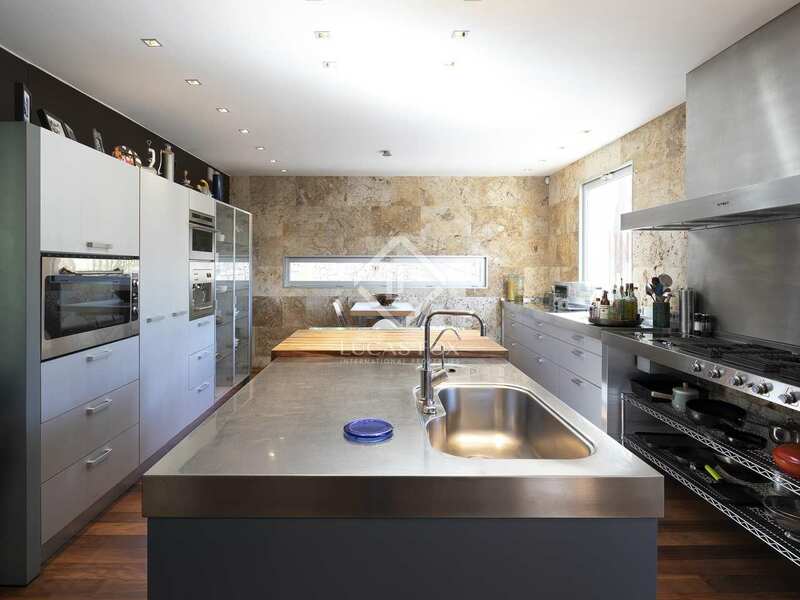 To the left we find the large, restaurant quality kitchen complete with central island, built-in Sub-Zero fridge freezer, external fridge drawers and a dual-zone wine fridge. 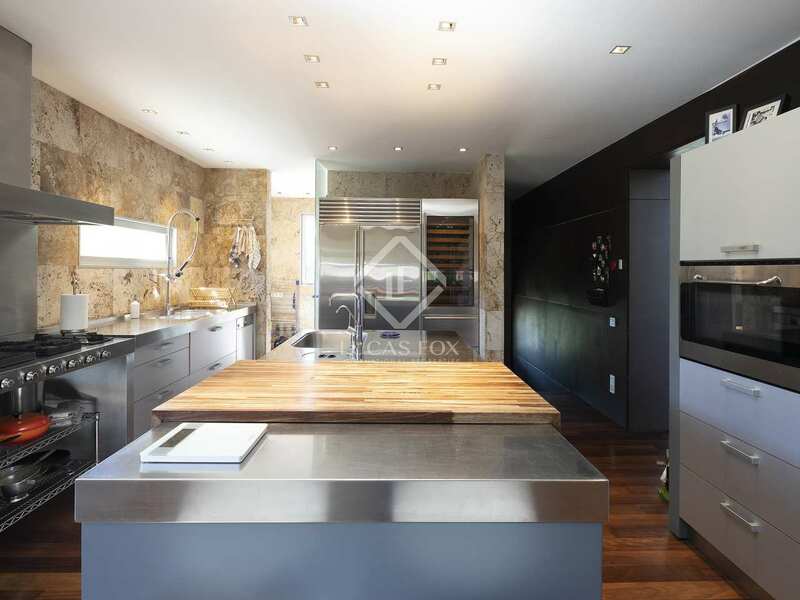 The commercial style stove incorporates a deep fryer, grill and six gas burners and is capped by a powerful yet quiet extraction system. 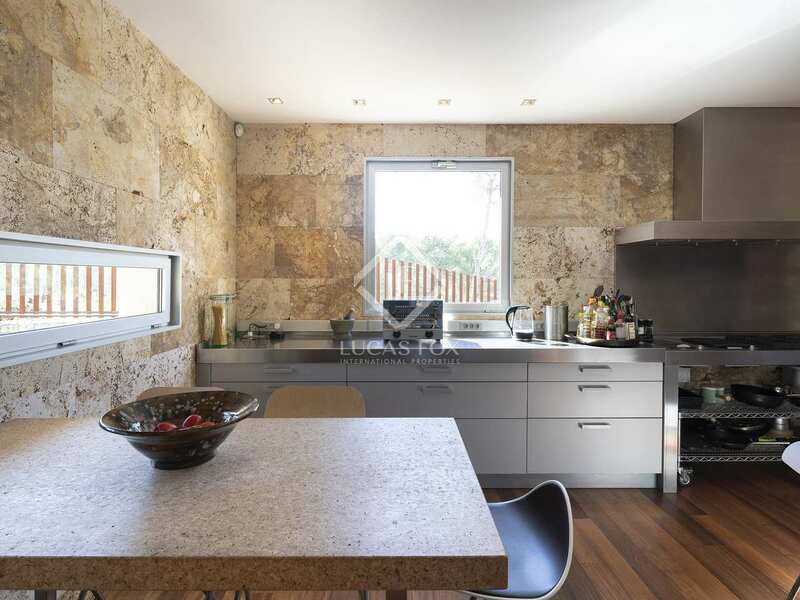 Pull out pantries, plenty of large drawers, generous stainless steel work surfaces and separate sink areas makes for an exceptional cooking experience. 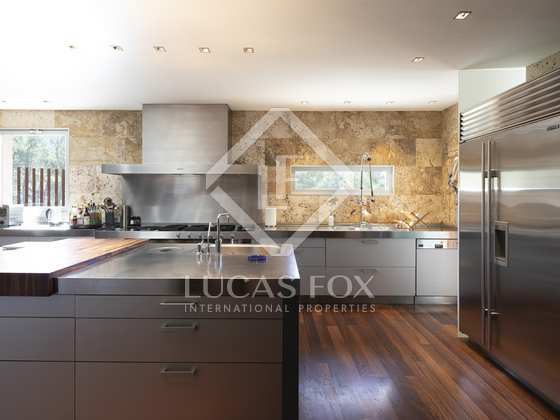 The kitchen leads through to a laundry area/rear kitchen with doors out to the decked terrace and garden beyond. 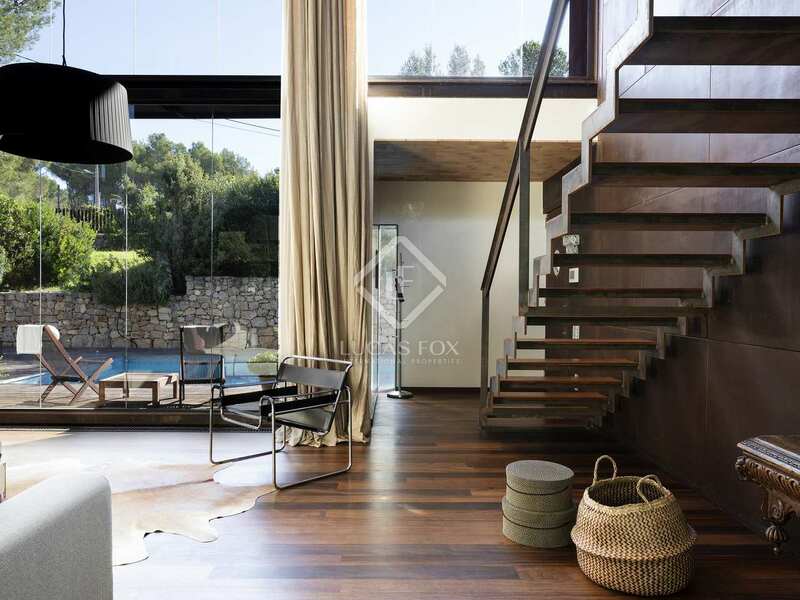 A staircase leads from the living room up to the mezzanine level with a lounge area with access to a large terrace. 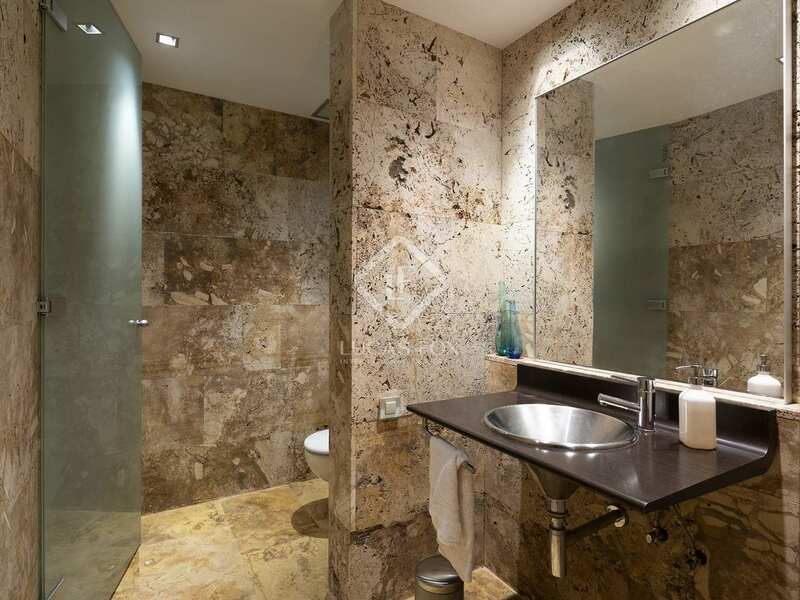 To the left, we head through to the night area, with two double bedrooms and a large open plan bathroom with separate shower room and toilet. 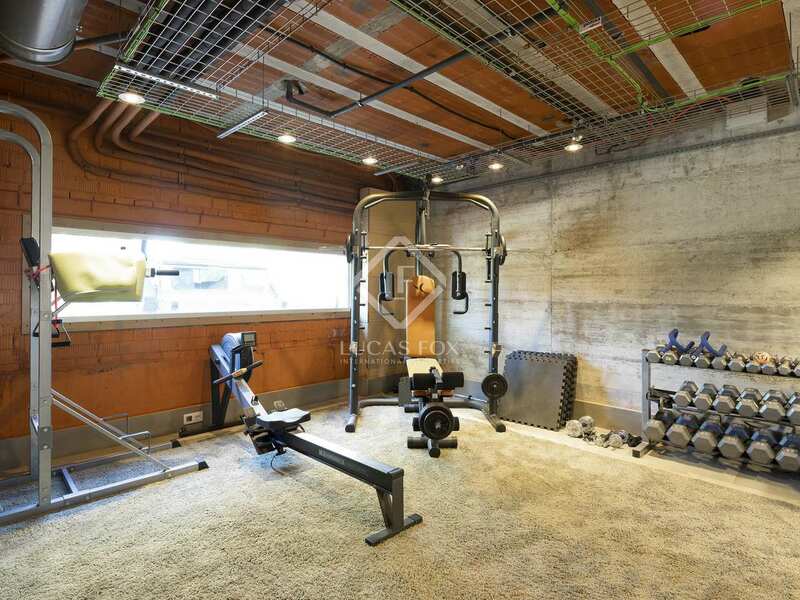 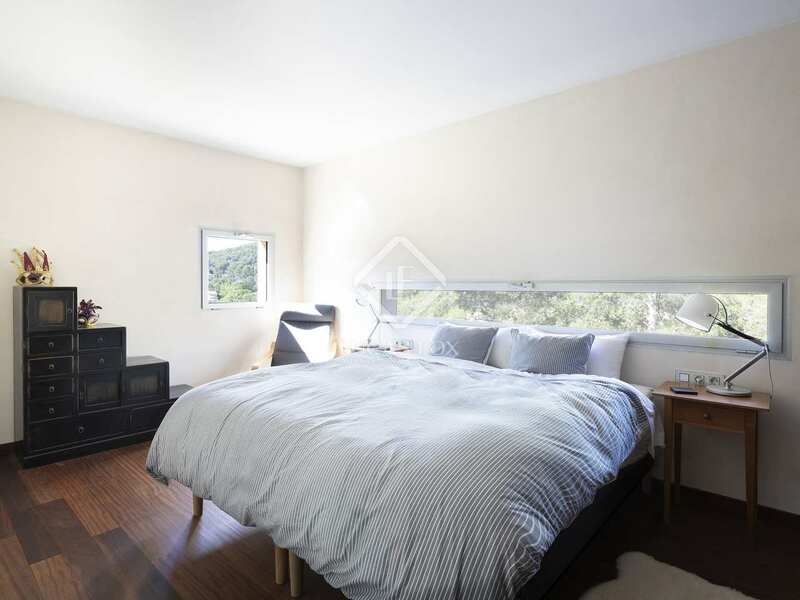 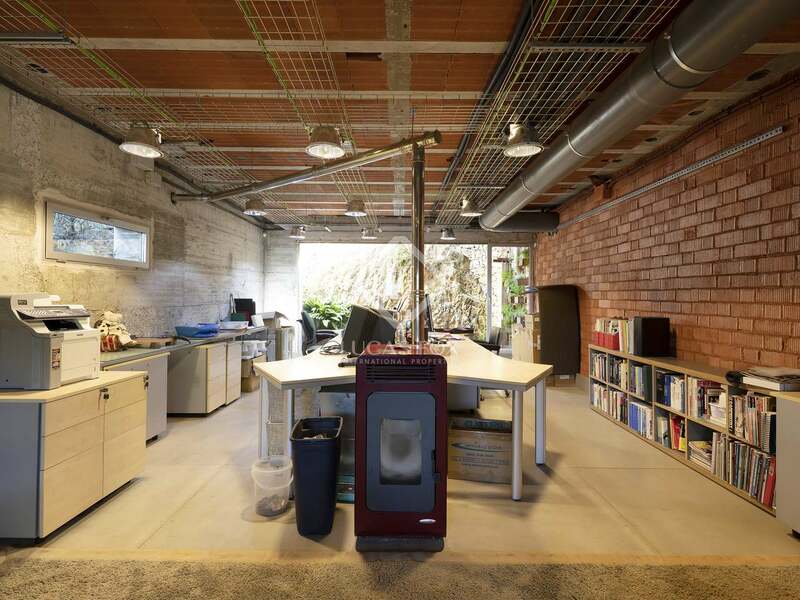 The basement area offers a utility room, large wardrobes, a washroom, a fully kitted out bodega, a 4-car garage with workshop in the back and a 50 m² office space with a patio/light well at the back and gym area at the front. 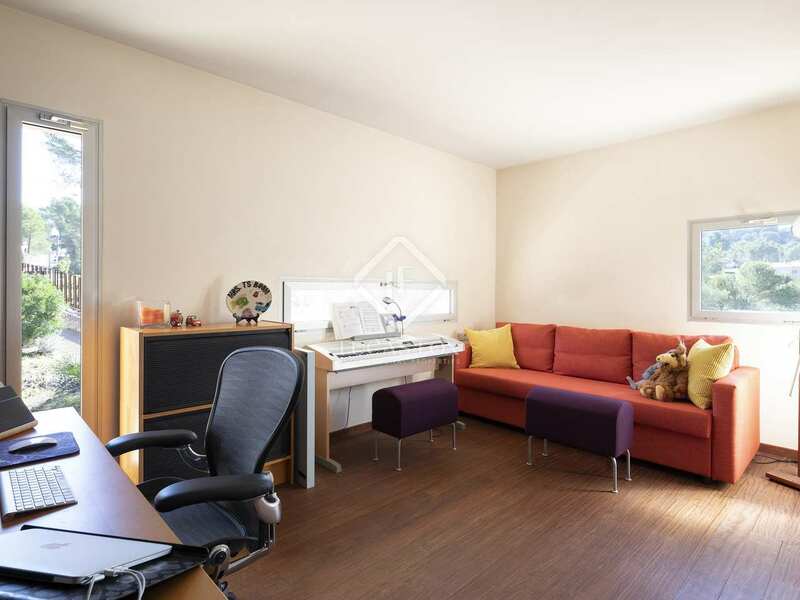 This could be converted into a separate apartment. 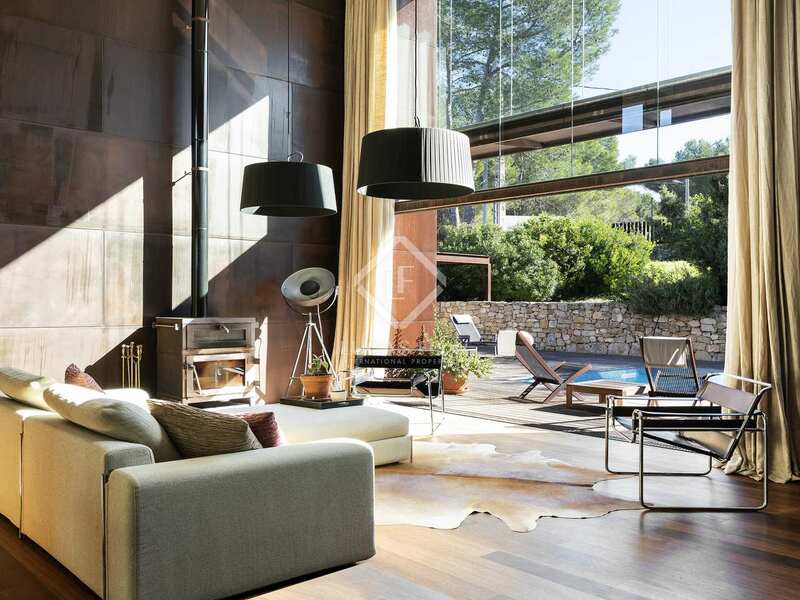 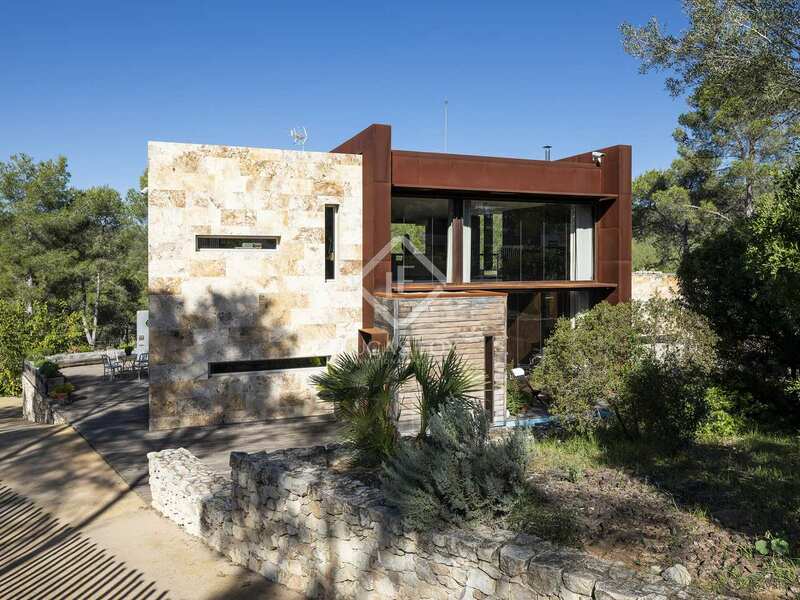 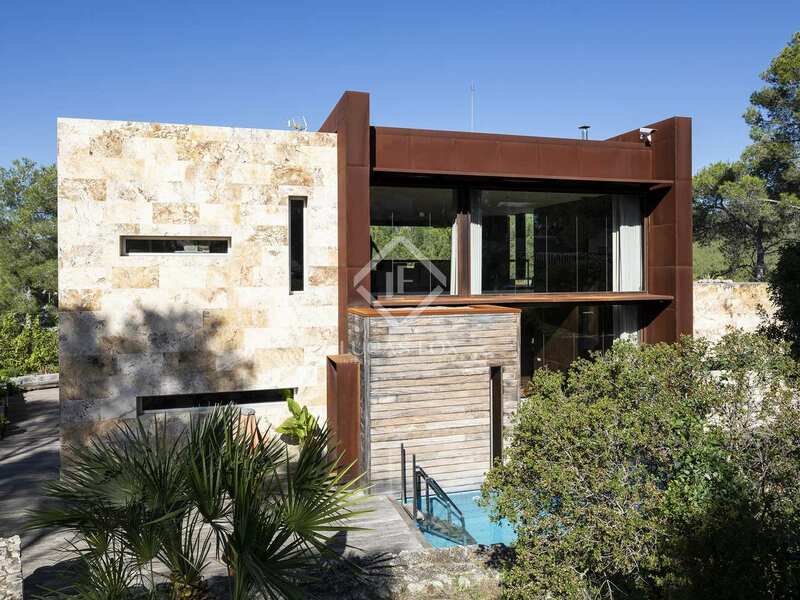 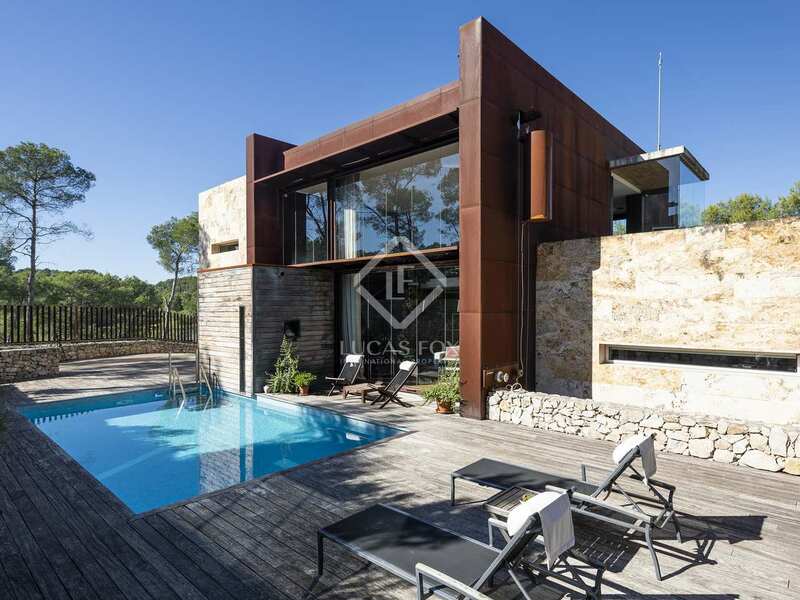 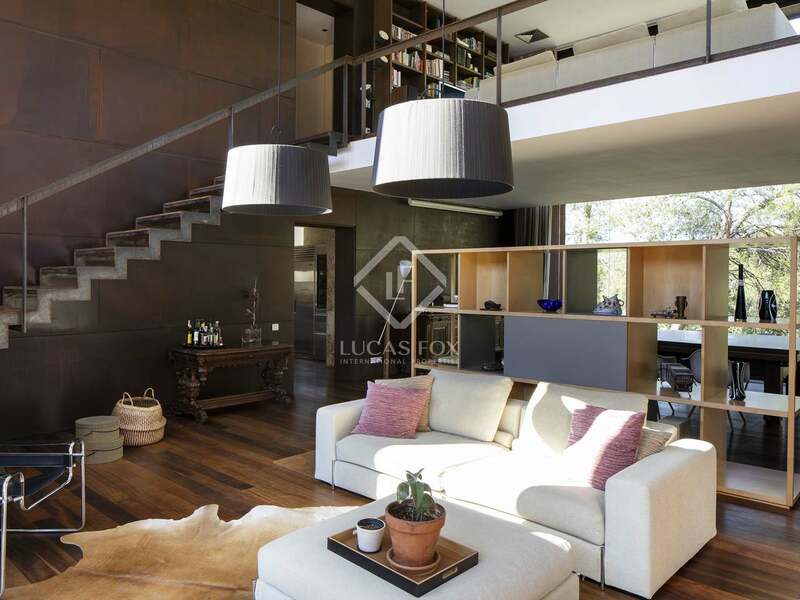 This house enjoys a unique, striking yet practical design with the use of warm, durable materials such as Cor-ten steel, travertine, Venetian plaster and tropical woods. 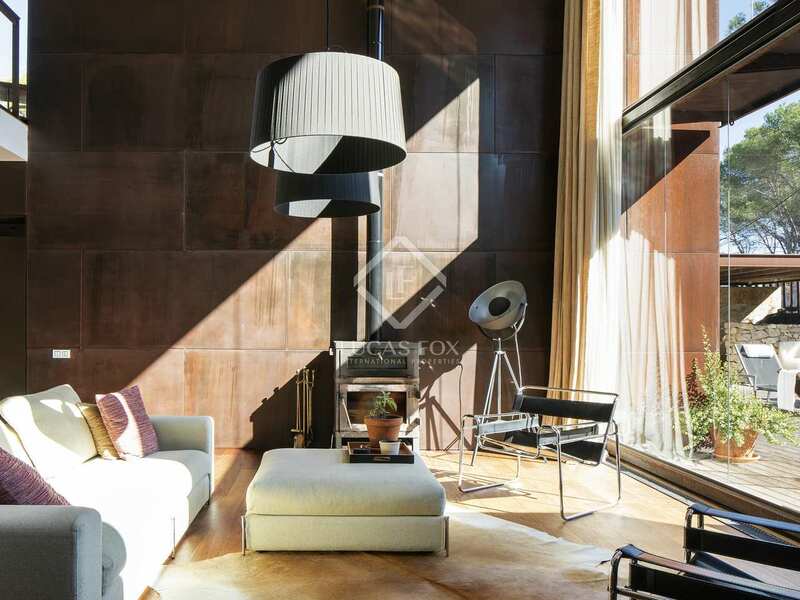 Heating is managed via a forced air system and there is a cosy fireplace in the lounge. 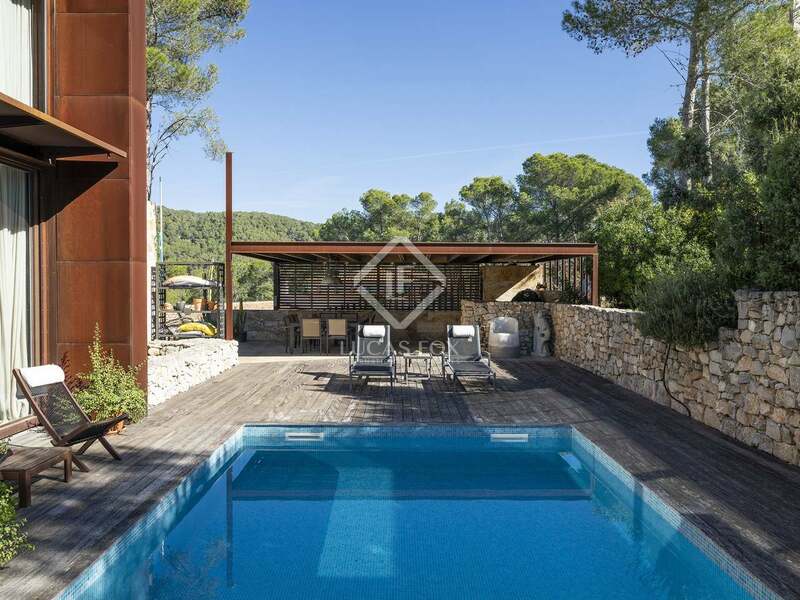 Contact us for further details of this spectacular property. 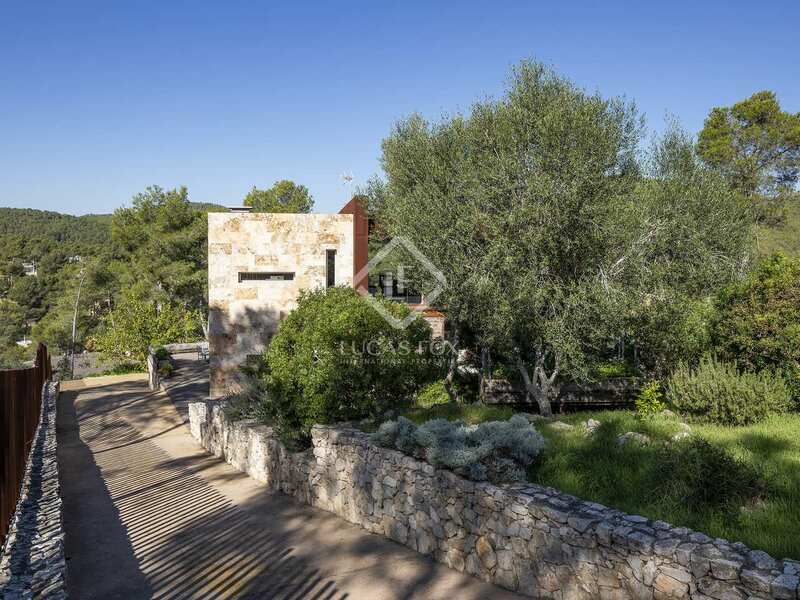 Large, private plot with ample sun exposure, for sale in the Mas Mestre community of Olivella. 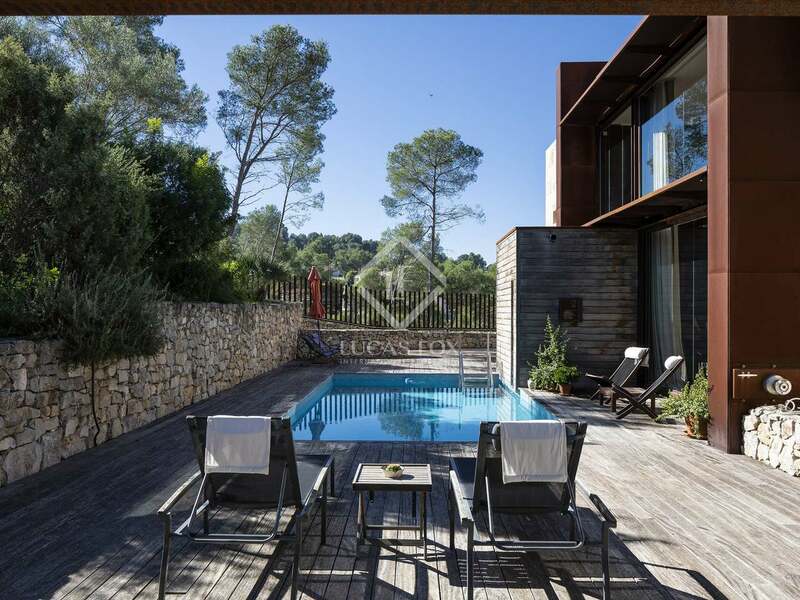 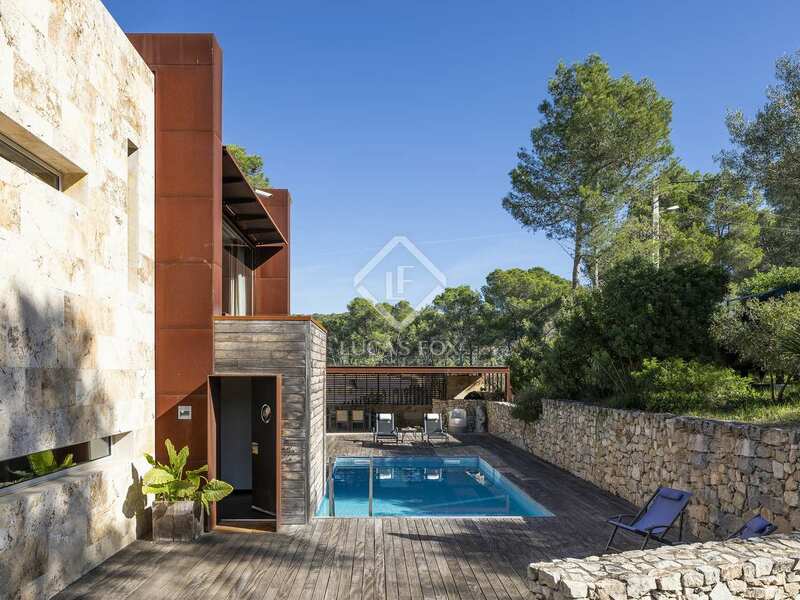 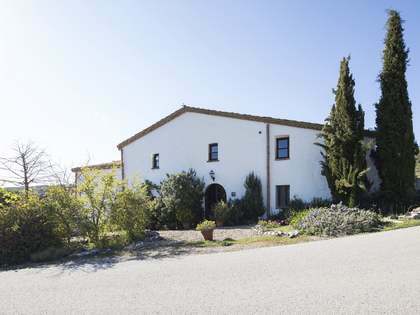 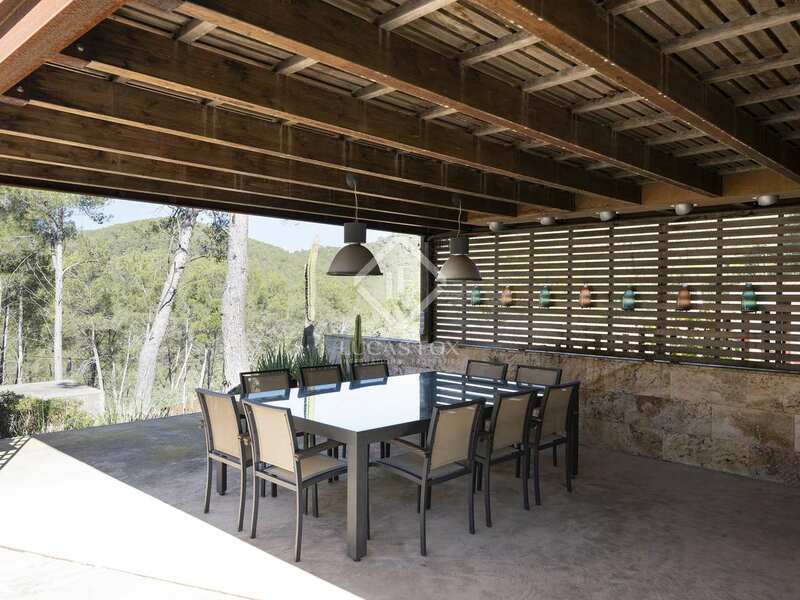 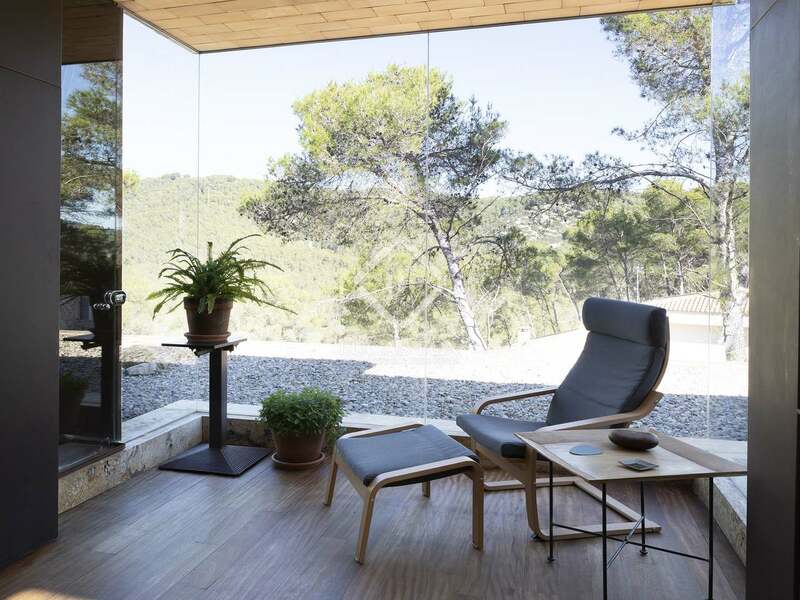 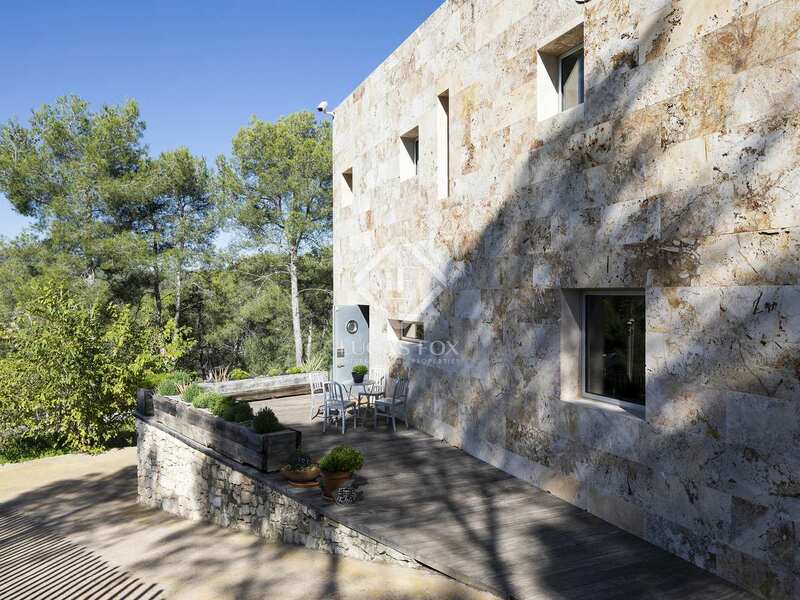 It is approximately a 10-minute drive to Sitges yet extremely peaceful and surrounded by nature.